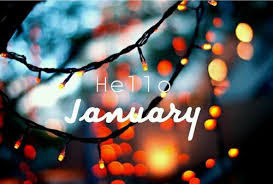 We'll have the wood-fired oven out back TWICE this month! 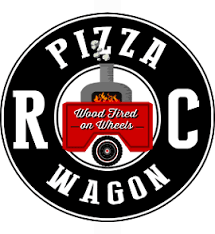 The wood-fired oven will be parked out back all afternoon...stop by for pizza, draught beer, and live music! We'll celebrate Robert Burns and Scotland...and we'll toss a bit of Ireland in for fun. It'll be Scotland vs. Ireland with Belhaven Stout & Murphy's Stout both pouring on Nitro...and you get to keep the glass from your favorite country's offering! 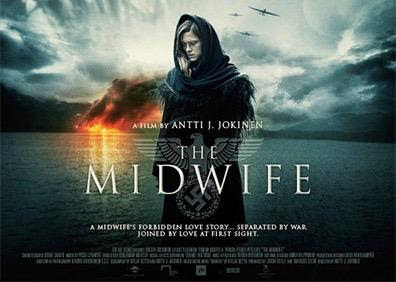 Sat Jan 7 7:30 movie - The Midwife - Award winning romance drama film about a Finnish midwife who falls in love with a German-Finnish SS-officer in the Lapland War in the middle of World War II 2 hours, english subtitles. Sat Feb 11 - Kara Grainger and her band - Modern blues, roots, soul - sultry vocals, fiery slide guitar. Jan 15 Sunday (before the Albert Cummings show) - movie - Everything It Takes - a documentary about Mary Helwig's prepartion for and competing in the Iditarod - Alaska's legendary sled dog race. Feb 12 Sunday show - Rob Ickes & Trey Hensley - Grammy nominated traditional and contemporary bluegrass, country, blues, rock. SAT 1/14/17 THE RAY CHARLES PROJECT RETURNS - a great show with Tony Lindsay (11 Grammies and vocalist for Santana) and Glenn Walters (Hoodoo Rythym Devils vocalist) sharing amazing vocals with Chris Cain on guitar, Dave Matthews on keys, and more great talent in a tribute to Ray Charles. 1/15 ALBERT CUMMINGS - Blues guitar pyrotechnics - A special SUNDAY show, 7 pm,January 15, 2017. Albert Cummings writes, plays and sings the blues like nobody else. He has played with blues legends B.B. King, Johnny Winter, and Buddy Guy. Taken with Albert's fire and passion bassist Tommy Shannon and drummer Chris Layton, of the band Double Trouble, the late Stevie Ray Vaughan's rhythm section, volunteered to play on and produce his solo debut recording, 2003's self-released From the Heart. B.B. King dubbed Cummings "a great guitarist." SAT 1/21 HOUSE OF FLOYD - they're back! The premier Pink Floyd tribute band with video, lasers, fog, backup vocals multiple guitars and more - this show has it all! SAT 1/28 TOM RIGNEY & FLAMBEAU - Electrifying cajun, zydeco, and more! SAT 2/4 - THE UNAUTHORIZED ROLLING STONES - A theatrical rock show with costumes, backup singers and more, a high energy concert! SAT 3/25 - TEMPEST - Celtic rock! 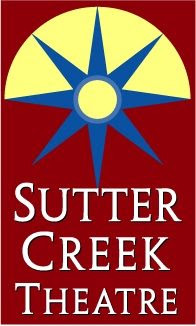 Join us for Lief's annual birthday celebration at the Sutter Creek Theatre. SAT 4/1 - Davy Knowles and band - Rockin blues guitar and vocals. 'The Midwife' (Fin. 'Kätilö') is a romance-drama set during WWII in Finland's Lapland province, a major European battle ground of the war. Based on Katja Kettu's bestselling novel, 'The Midwife' turns on the love affair between a Lapp midwife and a Nazi SS officer set against the backdrop of the Lapland War, which opposed Finnish and Germany armies in 1944-45. The themes in the story are international. It's about conquering love and war, and class boundaries that are broken down. "Separated by war, joined by love at first sight." Winner Jussi for Best Actress and Best Supporting Actor. Nominated Jussi for Best Cinematography. The "Jussi" is Finland's equivalent of the Academy Award's "Oscar" and is the oldest film award in Europe. An amazing group of talent! In tribute to the genius of Ray Charles, a swinging sextet of outstanding Bay Area musicians offers their take on some of the highlights from Ray's amazing songbook. They put on a great show last year. Tony Lindsay has 11 GRAMMY AWARDS on his mantel after spending two decades as lead singer of Santana, and has recorded with such artists as Patti Austin, Aretha Franklin, Curtis Mayfield, and Steve Winwood. He moved from Albany, New York to San Jose in 1980, worked at Guitar Center, and joined the Danny Hull Quintet, which later adopted the name Spang-a-Lang. His friend Chester Thompson invited him to audition for Santana, and overnight he went from playing small clubs to huge amphitheaters. 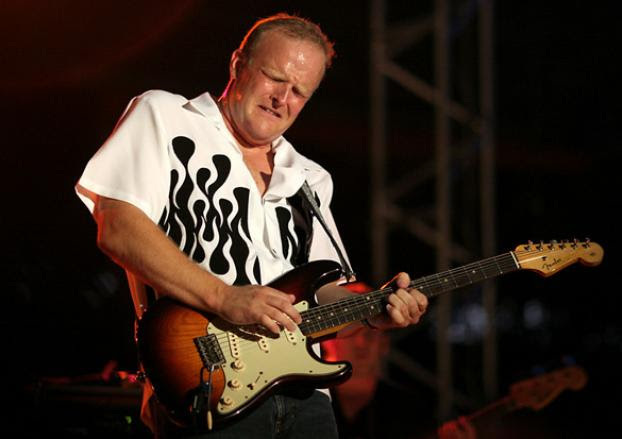 Blues guitarist extraordinaire Chris Cain grew up in San Jose, studied music at San Jose City College, and over the next twenty years learned his way around clarinet, piano, bass guitar, and alto and tenor saxophone, not to mention developing fierce vocal chops. He's played with such greats as Albert King and Albert Collins, Johnny Otis and Junior Wells, Boz Scaggs and Willie Nelson, and recorded ten solo albums, including his latest, So Many Miles, which the Chicago Blues Guide calls "a delicious blend of blues laced with jazz and rock." Glenn Walters sang lead for two sensational Bay Area bands, the Hoodoo Rhythm Devils and the Zasu Pitts Memorial Orchestra. The San Francisco Examiner called his voice "as warm, furry, and comforting as a mink coat. You just wanna wrap it around you." He has also previously toured and performed with the Doobie Brothers, Chuck Berry, Steely Dan, Savoy Brown, Uriah Heep, Johnny Winter, The Pointer Sisters and Sammy Hagar. Bassist DeWayne Pate graduated from the Musicians Institute in Los Angeles, moved north, and has since worked with an array of top Bay Area talents including Huey Lewis and the News, Boz Scaggs, Maria Muldaur, and Robben Ford. He's also a columnist for Bassics Magazine, and his instructional video, The Art of Tapping, his been widely popular. Reviewer Andrew Gilbert called his album Melting Pot "an impressive array of grooves." Rounding out this powerhouse performance is Dave Matthews on keyboards. Dave has worked with James Brown, Bonnie Rait, Idris Muhammad, George Benson, Nina Simone, and is the leader of the Manhattan Jazz Quintet. 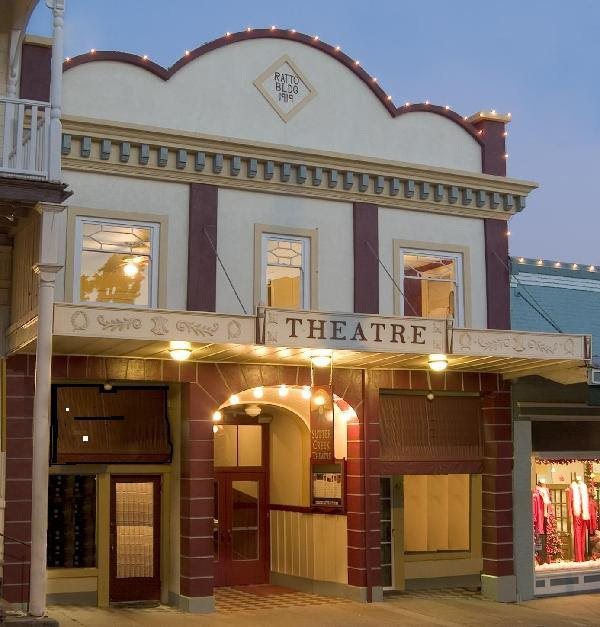 Having made its world premiere in Palmer Alaska and featured in the Talkeetna Adventure Film Festival in Talkeetna Alaska, "Everything It Takes" is coming to the Sutter Creek Theatre. 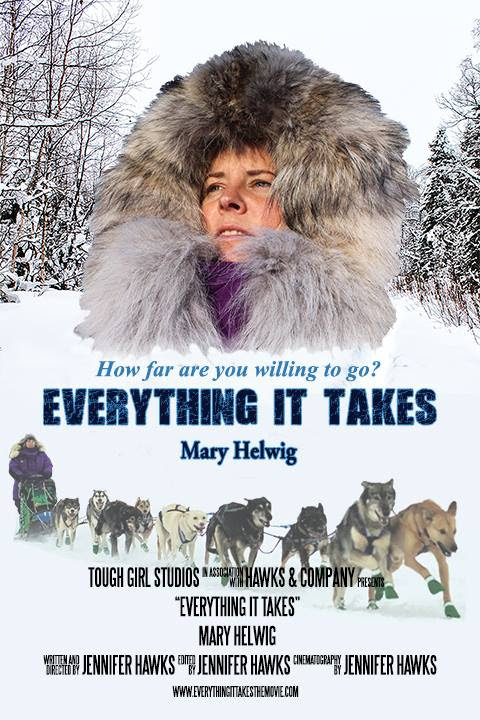 Film producer, director, writer, editor Jennifer Hawks follows Mary Helwig's journey competing in and completing the grueling Iditarod dog sled race in this captivating documentary. The Helwig winery will also be releasing a new red wine blended by winemaker and brother, Scott Helwig, Iditarod Red, in honor of Mary's first Iditarod race to go with this one hour documentary. Albert Cummings writes, plays and sings the blues like nobody else. He has played with blues legends B.B. King, Johnny Winter, and Buddy Guy. Taken with Albert's fire and passion bassist Tommy Shannon and drummer Chris Layton, of the band Double Trouble, the late Stevie Ray Vaughan's rhythm section, volunteered to play on and produce his solo debut recording, 2003's self-released From the Heart. B.B. King dubbed Cummings "a great guitarist." Cummings' soulful and explosive approach to blues and rock caught the attention of Blind Pig Records, which signed him to a multi-album deal. Music Connection called his live album Feel So Good "one of the best live albums recorded in a long time" and Blurt added, "Cummings' first live album provides the perfect showcase for the fiery guitarist's axe-handling skills and enormous onstage charisma." House of Floyd -Music, video, lasers, fog, this show has it all! The S.F. 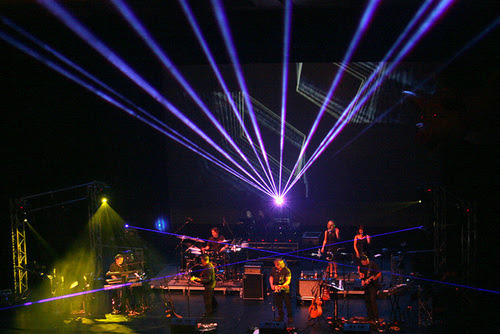 Bay Area's HOUSE OF FLOYD performs the music of Pink Floyd, and has gained a strong following for their unique ability to enthuse both the hard-core fans of the early adventurous Floyd and those who enjoy the songs and soundscapes that later brought them widespread appeal. They capture the essence of each of the various Pink Floyd eras from the formative Syd Barrett days, through the 70's and the final post-Waters era. In the Pink Floyd tradition, a HOUSE OF FLOYD concert incorporates sound effects, screen projection, moving lights & state of the art laser show. The set lists on any given night might be from an actual Pink Floyd concert, or a custom HOUSE OF FLOYD mix. You may even see a giant inflatable pig! 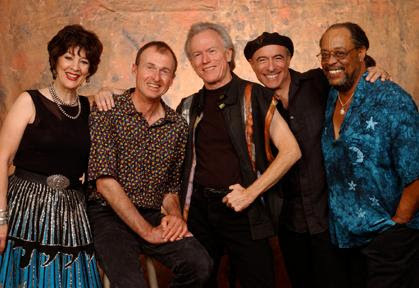 Tom Rigney & Flambeau, Electrifying Cajun, Zydeco, and more! 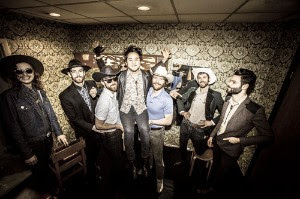 Tom Rigney, the fiery, electrifying violinist/composer, joins forces with some of the finest musicians on the San Francisco roots music scene to form Tom Rigney and Flambeau, a band that will tear the roof off of anyplace that has one and raise the spirits of everyone around. Rigney, after fifteen years at the helm of The Sundogs, has stepped out into the spotlight with a vengeance. Flambeau showcases his passionate, virtuoso fiddling, his commanding stage presence, his range, depth, and originality as a composer, and of course, those notorious red boots. His bandmates are veterans of the great bands of Charles Brown, Queen Ida, Roy Rogers, Clifton Chenier, and others, and together they generate enough heat and energy to ignite a dance floor or lift an audience to its feet.Make your newsletter a valuable source of information and advice and you will successfully position yourself as an expert. SAT 2/4 8 pm The Unauthorized Rolling Stones - killer Stones cover band, back up vocals, horns, costumes and more! SAT 2/11 8 pm Kara Grainger and band - Modern blues, roots, soul - sultry vocals and fiery slide guitar.